The New Zealand dollar was mixed today, rising against some rivals, falling versus others, and staying flat against some others. Macroeconomic data, both domestic and from abroad, was mixed as well, giving the currency no reason to go in a specific direction. China’s trade balance demonstrated a surplus of $32.6 billion in March, up from $4.1 billion in February and beating the average forecast of $7.7 billion by a wide margin. But while the data was positive for the Chinese economy, it was not necessarily good for its trading partners, which sell goods and raw materials to the Asian nation. While exports surged 14.2%, year-on-year, imports declined 7.6%, meaning that China was buying less stuff. As for economic data in New Zealand itself, the BusinessNZ Performance of Manufacturing Index dipped to 51.9 in March from 53.4 in February. Being above the neutral 50.0 level of no change the indicator was still showing expansion of the sector, but the rate of growth was slower. 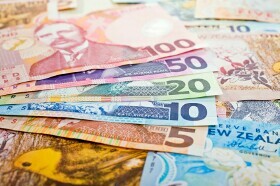 NZD/USD rallied from 0.6726 to 0.6751 as of 11:51 GMT today. EUR/NZD was up from 1.6716 to 1.6751, while its daily high of 1.6784 was the highest since February 13. NZD/JPY climbed from 75.07 to 75.59. GBP/NZD was about at 1.9394, near the opening of 1.9382 and retreating from the session high of 1.9437. If you have any questions, comments, or opinions regarding the New Zealand Dollar, feel free to post them using the commentary form below.